There are now 27 messages in our guestbook. I have a vintage girl scout cup that collapes. does anyone know the value? Webmaster comments Believe I have seen them sell for 3-5 dollars on E-Bay. I am organizing a Lock In/Thinking Day event for our Service Unit. All 7 troops in our SU needs to select a Country, find out about Girl Scouts and other intersting facts about that Country and then share with the rest of us during our Lock In. I found this web site to be very helpful and I cannot wait until our event! Looking for anyone who might have benn in the girl scouts in Yokohama Japan 1967-1968 my sister was apart of G.S and would like to find Pitchers for her. Is there a site where I can download the songs? I am a fairly new leader and I don't know all the melody of the songs. This site is very helpful in planning our investiture this year! Thank you for this great site. It's full of good ideas. I was a troop 1058 girl scout and I miss all my girlie ( im the blonde one) but now im a Rainbow girl! WOW!!! What an active and amazing troop. You are my inspiration. GREAT JOB AND GREAT DEDICATION!!! Great web site. I'm hosting an International Tea Party at the Bristol Library in May. Looking to reconnect with former Girl Scouts Girl Guides ,Lifetime and College Scouts. RSVP is required. Tell your Grannies and Aunts. Great time to find old friends and swap memories. Love the website. Looking for ideas for our Brownies Court of Awards and found some good stuff here. What an awesome website!!! Thank you so very much for sharing all your wonderful activities with us all!!! Hi there - we are looking for information on Italian Girl Scouts for our World Thinking Day activities. Would you have anything to share? Thanks so much.  Webmaster comments Look at the WAGGGS web site for the address of the Italian Girl Guides. I found your site a great help in our searching for a way to teach our Daisy/Brownie troop about Juliette Lowe. Thank you for your dedication to the Girl Scouts! I really like your website and really appreciate you sharing your ideas, photos and experiences. I love your site and refer to it often! Thank you for sharing so many great ideas with us, and the photos are wonderful! Hi, Im from Minnesota. Just surfing the web, seeking ideas for my own websites. I like seeing all your girls in full uniform! I don't think anyone in our area evan owns a full uniform! LOL Looks like the girls love the activities. Great leaders like you make scouting a blast! Thank you! Hello. I was a member of troop 1058 from '89-'92. I just found my old uniform with all the patches. I have such wonderful memories of girl scouts and made such good friends. If I was to get involved in girl scouts, how would I go about it? Webmaster comments Call the Girl Scout Council in San Antonio, Texas: (210) 349-5607 Contact them and they can tell you all the various ways you can get involved! Hi, I'm an Italian Girl Guide (I'm from Roma), I'm a troop leader (I'm 21). I would like start a friendship with some other Guides, and exchange some experiences and ideas with you, and I would like to compare our way to do Scouting. If you write me I'll answer you. Thank you all. Webmaster comments I will forward you information to a current older Girl Scout troop. I would love to learn how to start a website for my troop. Any suggestions or tips you could share would be greatly appreciated. I am in my 7th year as a leader and have been thinking of doing a website for a while now. Webmaster comments I've replied to your question by private email. I'm a new Brownie Leader would like any advice you could give to make our troop the best it can be! Webmaster comments I'll answer by private post. I really enjoyed your website and seeing your amazing bridging up ceremony. Please contact me ~ would love to know how this AWESOME website was created! way to go leaders!